Eczema seems to be a rapidly growing problem and often seen worst in our kids. It is the question I get asked most about and I can see the frustration and trauma this skin condition causes for families. Many people are interested in natural remedies and a permanent solution, rather than taking antihistamines, antibiotics or steroids. I am not an expert in this field by any means, but I have collated some information from my Facebook community. Some of our natural, new age mums have kindly shared what has worked for them. I hope this resource will serve as a go-to guide for you. No-one seems to know the exact cause, but it does appear to flare up from stress, allergies and intolerances or you may have an inherited family tendency. 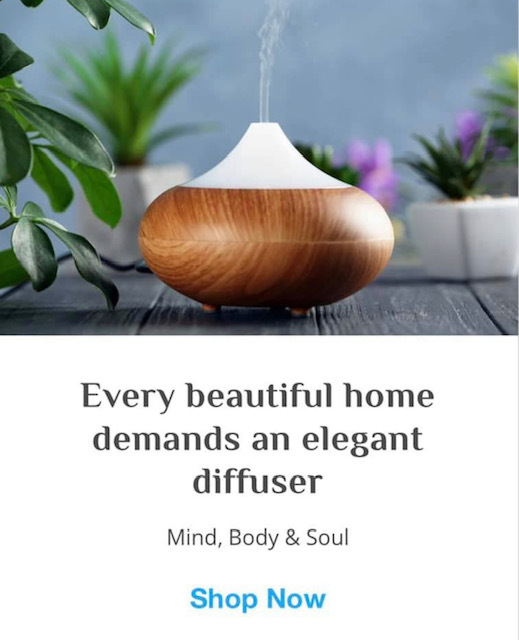 Other things may irritate the condition like the weather, animal hair, pollen and grasses and chemicals. ♥ Testing. Get tested for allergies or intolerance. Gluten, dairy, soy, eggs and some salicylates and amines seem to be common culprits. ♥ Rebalance. Try natural therapies like naturopathy, acupuncture, chiropractor, kinesiology, EFT and homeopathy. ♥ Gut Health. Naturopath, Alisha Lynch recommends fixing your gut health to treat eczema. Click here for her series of gut health information. ♥ Probiotics. 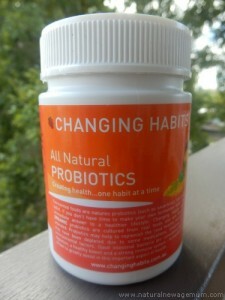 Many of you mentioned that probiotics was one of the best remedies and first stops. I like this one from Changing Habits because it is wheat and dairy free. ♥ Clean Eating. Avoid chemicals, additives and processed foods. Naturopath Jess Donovan has a list of foods that might be triggering your childs’ eczema. ♥ Zinc. Increase zinc in the diet in the form of supplements or zinc-rich foods. ♥ Apple Cider Vinegar. Add ACV to the diet as it contains enzymes that aid digestion. 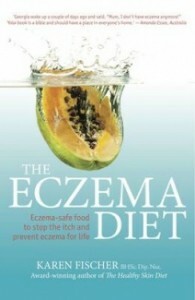 ♥ The Eczema Diet by Karen Fischer. “The Eczema Diet includes all the facts and scientific research, as well as itch-busting treatments that offer immediate relief combined with a tried-and-tested diet – developed by nutritionist Karen Fischer over the past ten years through her work with eczema patients – that really gets results” Get in here. 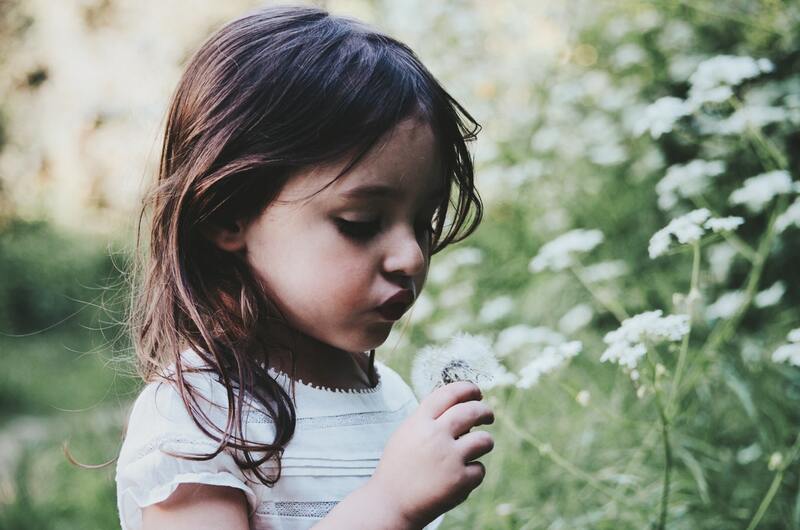 These remedies shared by natural, new age mums help to manage the symptoms of eczema. ♥ Avoid anything that contain sulphates, perfumes and alcohol. ♥ Keep the area well moisturized. ♥ Don’t have long, hot baths or showers as these are drying. ♥ Oats in the bath are very soothing on the skin. ♥ Use Tamanu oil. It’s all natural and has anti-inflammatory properties comparable to hydro-cortisone cream. ♥ Coconut oil. Bathing in it and also applying to the skin. Get a good quality coconut oil though. ♥ Apple Cider Vinegar. Diluted and applied with an organic cotton ball or pad. ♥ Aloe Vera Gel. The sap or gel from a fresh plant is best. ♥ Wet wrapping. It’s An Itchy Little World has some great tips on how to do this. ♥ Chamomile. You can use tea bags, steep and then make a warm (not hot) compress and let it sit on the affected area for 10 minutes. ♥ Use all natural, soothing creams. 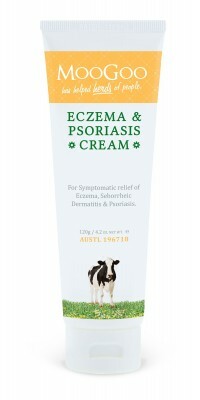 Many of you have reported great success with Moo Goo’s Eczema Cream. ♥ Swimming in the ocean. 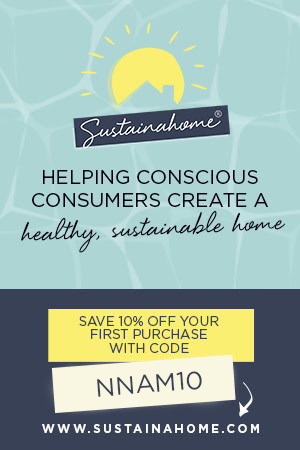 ♥ Have a completely chemical and synthetic fragrance free home. Eczema seems to be a very individual condition with no one solution. Keep persevering and trying different things until you hit upon what works for you. I think the main message I keep hearing from mums is that both internal and external remedies are needed, as well as lots of patience! I hope some of these ideas help you out. Please comment on this post if you have some more thoughts or experiences with eczema – the more ideas the better!! Definitely agree that gut health is a big thing. Kefir works great – especially if doing both milk and water grains as they both contain different good bacteria. In conjunction with this, I also put my son on probiotics from a therapist and the results have been amazing. thank you! it seems like your gut health info is the healer for just about any ailment ! Going off gluten and wheat seemed to work for a very close friend of mine. Her son is 15 months old and had it quite bad in that it was itchy and even bleeding at times. She took him off wheat and gluten and there’s been a massive improvement. It seems to work with a lot of people Pia. Thanks for the info. Agree with gut health! Trying to stock up on my probiotics and stay away from inflammatory foods 🙂 A little hard, but I’m trying! ha. Thanks for the blog post, really helpful information all on one page! After reading how to avoid excema it may be just reducing the symptoms not the cause. A while back I read about the role of fats in the cell walls. 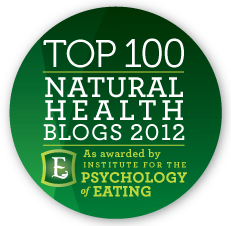 The change in the diet from saturated fats to high omega 6 vegetable oils may be the problem. I now consider the vegetable oils as toxic and only cook in coconut or saturated fat. The body make some nasty infammation chemicals from the omega 6 called eicosanoids. The result is the cell walls are now made of inferior fats resulting in a more permeable cell wall, so the skin can now penetrated by irritants that normally would have no effect. Also some people have had good results treating the skin fungus malassezia. This fungus that normally causes no problems could be causing irritation because the skin is more permeable due to the lack of certain fats. Omega 3 fats sound like a very good start as the diet is extremely low in these very important fats. I think you are onto something Vince! My daughter was severely ill from excema. We found sugar is the enemy, and yeast and wheat. Zinc supplements, probiotics and a restricted diet helped. Also zinc cream on bad areas topped with paw paw cream then wet wrapped helped me reduce the use of cortisone cream by about 70%. Keep hydrated and drink heaps to flush out the system. It is. An evil condition and severe cases can be life threatening. It can be controlled and managed, through perseverance and removing triggers that you know affect it. A great article. Thank you for compiling it. Coconut oil can be used topically to help moisturize the area as long as coconut is not a problem food. YES! The dermatologist just prescribed stronger and stronger steroid creams. My 1yo has eczema across his eyebrows, so I cant stop him accessing abd scratching….until I found scratch-me-not mittens. A GODSEND….love these things. Sea salt baths, fish oils and probiotics have helped my 7 month old. But I struggle with the large amounts of expensive moisturising creams needed 2-3 times per day, each 250 ml tube costing $40 and lasting a couple weeks! It adds up! Also have not been able to find 100% pure moisturiser cream that works well. Coconut oil, I find, does not sit on the skin creating that much needed barrier with eczema. The creams you mention above are really pricey! 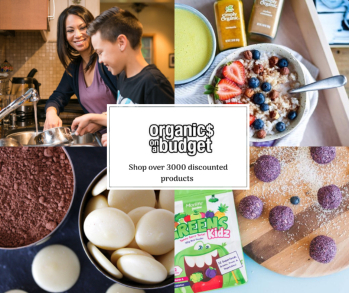 Anyone got good, natural, inexpensive alternatives for babies please? I agree with many of your points, as there are different triggers of Eczema and it’s different for each individual. It is important that we take care of ourselves externally as well as internally by eating well(no additives), having good gut health, checking for allergies etc. Great post.